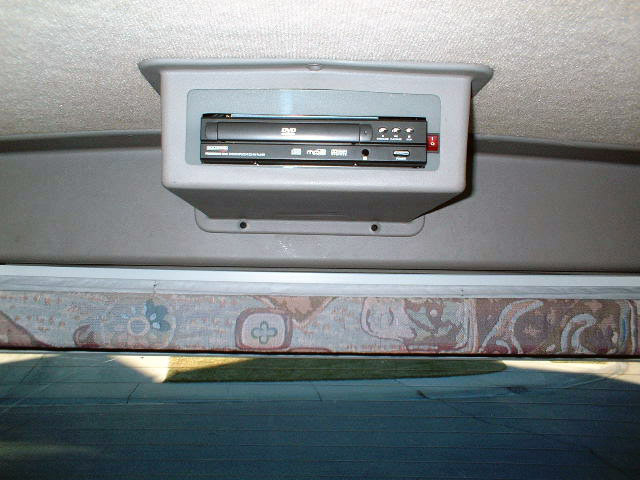 I just completed the conversion of the build-in VCR to DVD player on my 98RD. The total cost is about $70.00. The DVD unit was bought from Wal-Mart for $30.00 (as this is the right foot print that will fit into the build in bracket and enclosure and it is the cheapest). 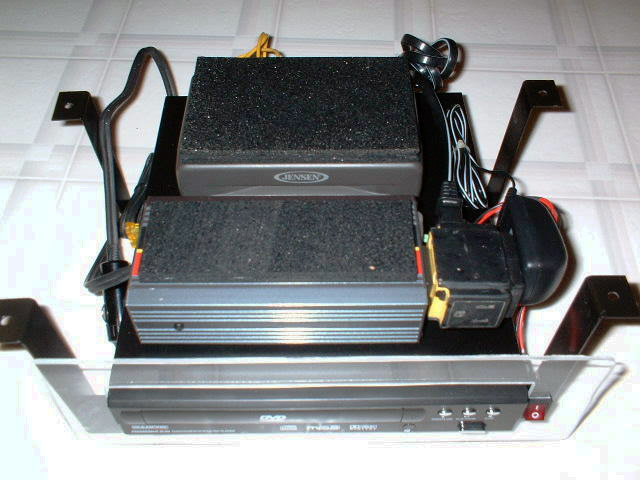 RF modulator $10.00 (convert the video, audio L/R signal at the back of the DVD to RF signal required to the TV), DC/AC converter 175 watt $20.00 (to convert 12VDC to 110 volt AC required by the DVD) (XSCARGO a product liquidator store), scrap plastic or Plexiglas to fabricate the bezel as the new DVD is smaller, double sided tape to attached the bezel. While doing this conversion I found that the video A/B switch (located on the side of the driver side back seat) was defective $12.00. (Souce or Radio Shack). I have documented the conversion with photos. If there is any interest on this conversion, I'll post the appropriate photos. 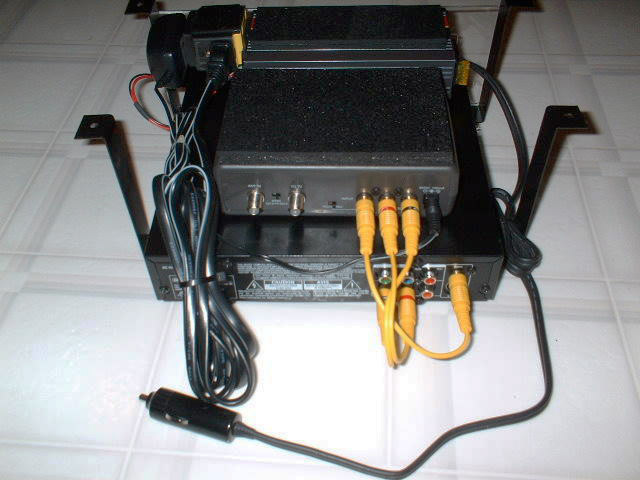 RF modulator connection to DVD. Close up of DVD unit Rubber filler on top converter - un-mounted front display with rubber filler to hold pieces together when tightening down. 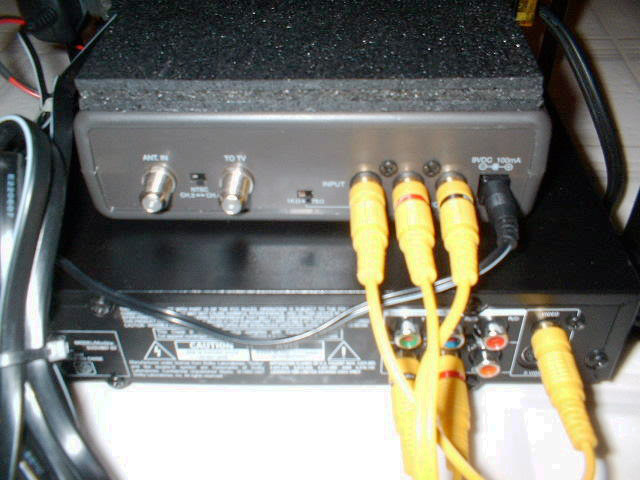 Back of DVD showing dc plug - connection from RF modulator to the DVD and DC plug from the DC-AC converter. TV picture showing DVD display - TV displays the signal from the DVD unit. Installation power side switch - completed installation also showing the removed power switch for the DC-AC converter. Front DVD unpainted bezel - RF modulator AC converter power with rubber padding to secure units to the bracket with remote power switch. 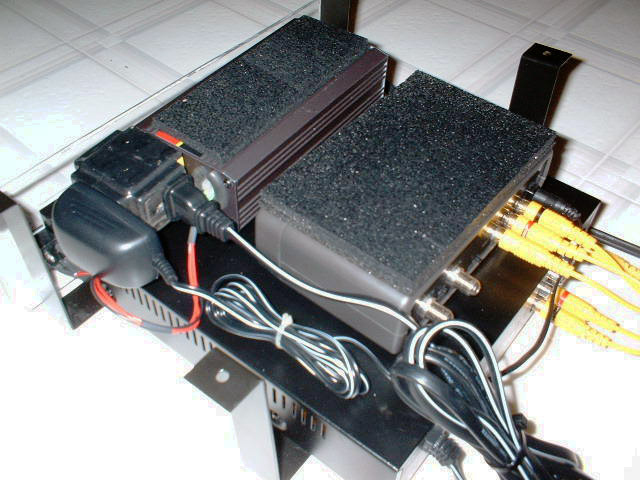 Converter and RF modulator on DVD - shows the inter-connection of the AC-DC converter and the RF modulator to use existing wiring to the TV. 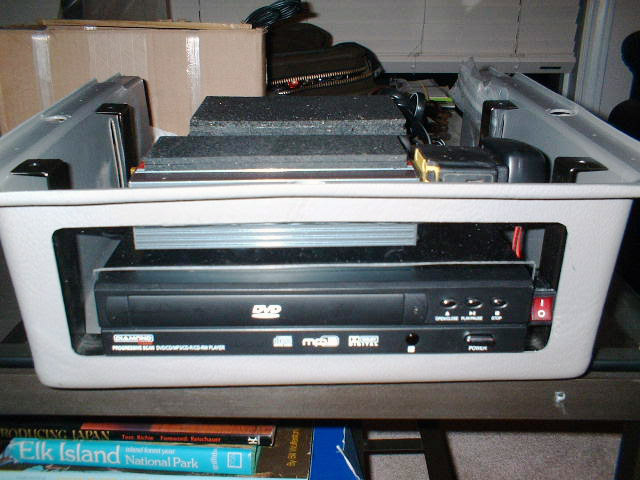 I bought a small DVD player at Wal-Mart for $24 that plays DVDs, MP3 or CDs that fits on the back shelf under the VCR. 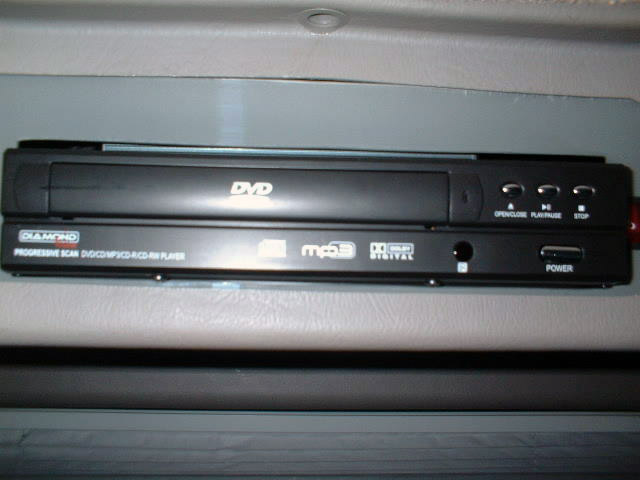 I plug the audio/video output of the DVD to the front audio/video input of the VCR and I have both. It's a cheap DVD player so it only works off 110V. 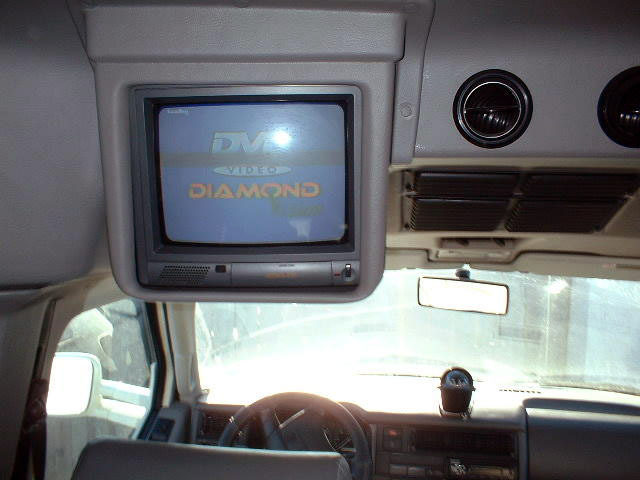 If I need a 12V DVD I have a 7" screen portable DVD player that will also plug into the input of the VCR or TV. It's convenient for me to have both.